You think you know a model and then something like this happens. Today, a video was released of Bruce Weber speaking to Huffington Post about his career and some rather unexpected details were revealed. When asked about the models he uses in his shoots, he was questioned as to whether he had ever sent any of the models back for being too skinny, etc. What he said next sent daggers through the hearts of many. 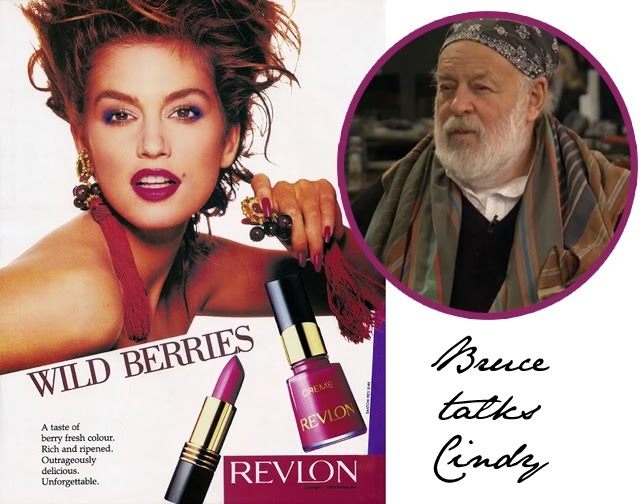 Apparently the only model Bruce Weber has ever sent back was Cindy Crawford. Bruce Weber then goes on to explain that although they are now friends, back in the day he sent her home for being rude to the crew and for complaining when he was taking pictures of old boxers instead of her. Here's hoping the whole thing was just down to a bad day as up until now we've only heard amazing things about Ms. Cindy Crawford.